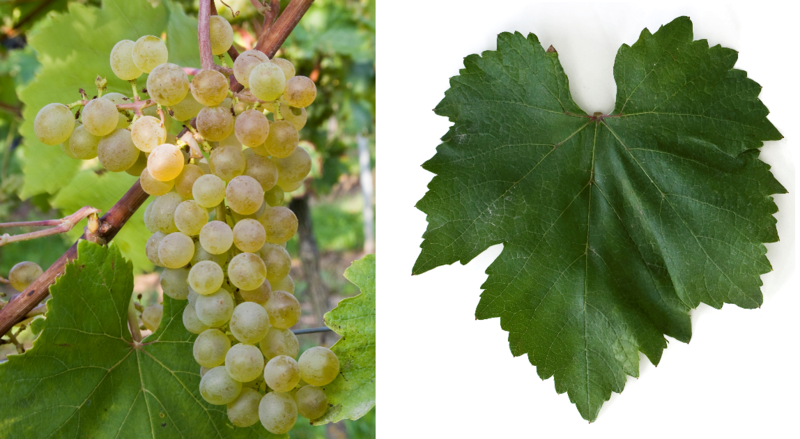 The white grape variety is an interspecific new breed between (Amurensis x Vinifera) x Afus Ali, They are genes of Vitis amurensis and Vitis vinifera contain. The intersection of hybrid took place in 1960 in Hungary by István Koleda and István Tamassy. She was crossing partner in the new breed Zlata, The medium to late ripening vine is moderately resistant to Botrytis, It produces acidic white wines with aromas of citrus fruits and apples, which are mainly used for sparkling wine production. She will be in Hungary especially in the fields Csongrád. Hajós-Baja and Kunság grown in the Hungarian Plain (Alföld). In 2010, a total of 1,211 hectares of vineyards were reported (Statistics Kym Anderson ). This page was last modified at 24 January 2018 at 18:15.